The workshop held on Monday 25th January 2016 presented the results from the EU and USAID funded application of mapping and valuing Natural Capital in Mondulkiri Province, Cambodia. More than 100 people attended the InVEST workshop on Monday 25th January 2016, which presented the application of the InVEST tool for policy decision making in Mondulkiri Province. Top Government representatives and members of leading conservation NGOs within the country attended the workshop, and with so many influential policy makers in attendance, this was a crucial event to show the impact that such tools could have on future policy decision making and sustainable land use planning in Cambodia. 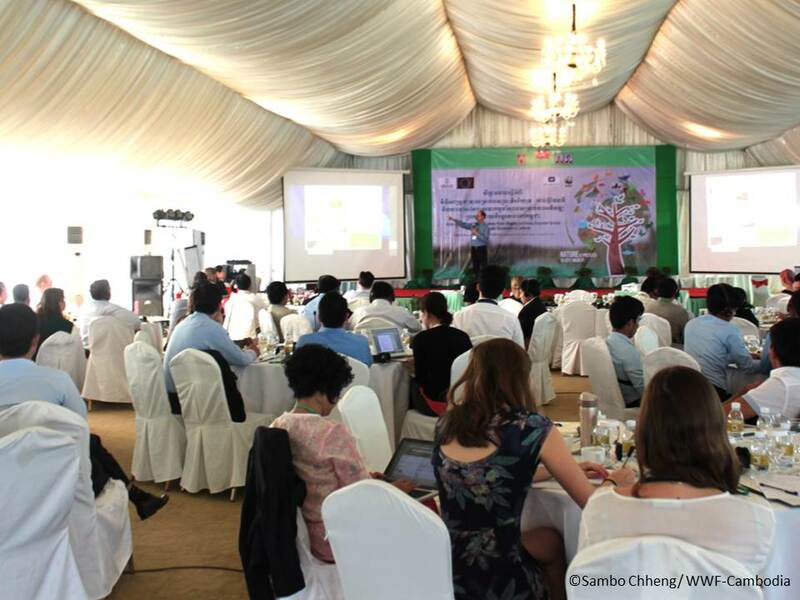 “The EU acknowledges the importance of the InVEST tool and encourages its implementation to conduct an integrated valuation of the vital ecosystem services that are present in Cambodia. Using this tool, biodiversity and the natural resources that support local communities can be included in key decision making policies and protected within the region,”, said H.E. Mr. George EDGAR, the Ambassador of the European Union to Cambodia. At present, Cambodia’s ecosystem services (ES) are under threat from economic development and unsustainable use of natural resources. There is currently no true understanding on the value of these natural resources and they must be valued in order to be properly protected. 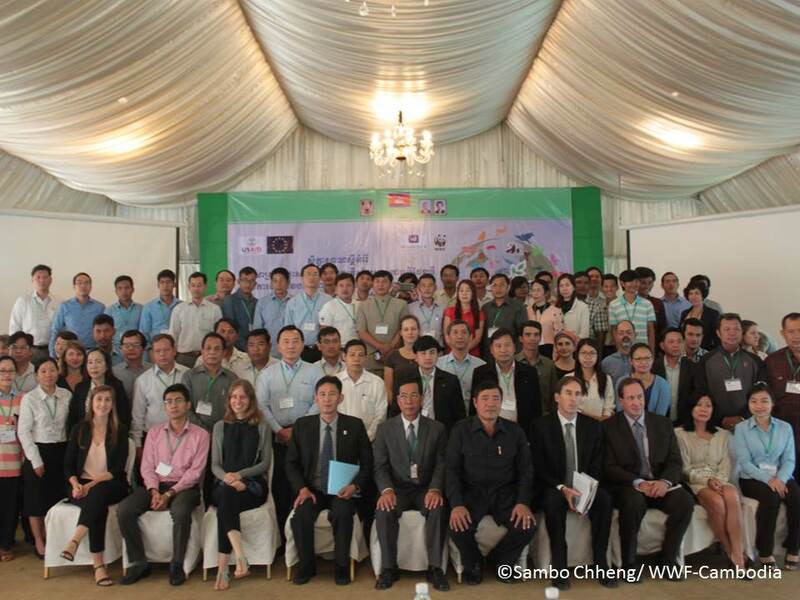 WWF-Cambodia, together with the Royal University of Phnom Penh (RUPP) and the Provincial Government of Mondulkiri worked closely to map and value key ecosystem services in Mondulkiri Province. The tool used is called InVEST (Integrated Valuation of Ecosystem Services and Trade-offs) and its application in Mondulkiri Province was funded by USAID’s Cambodia Supporting Forests and Biodiversity project (USAID SFB), and implemented by Winrock International, with partner WWF-Cambodia and other NGOs; and by the European Union (EU) funded: “Sustaining Biodiversity, Environmental and Social benefits in the Protected Areas of the Eastern Plains landscape of Cambodia” Project implemented by WWF-Cambodia. “This tool is very important for Cambodia as people still don’t understand about ecosystem services. In Cambodia, we always think about development, but this workshop is good to think about conservation and sharing ideas”, Soeung Lyly, Ecoland, Royal University of Agriculture. The workshop included presentations from RUPP and green economy consultants who worked closely on the mapping of ES and development of potential future scenarios of conservation; as well as discussions on the potential impacts of such a tool on the future landscapes of Cambodia. Private sector engagement and payment for ecosystem services (PES) were noted as key areas to build upon at the landscape and national levels. “USAID is proud to have supported this important initiative and align the protection of natural resource stocks with local community sustainable development”, Curtis Hundley, Chief of Party, SFB-Project, Winrock International. 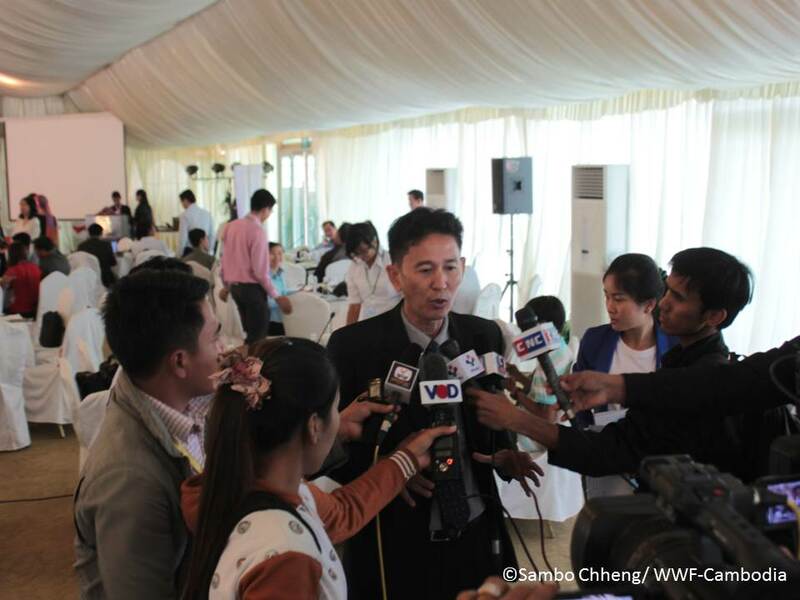 “We hope this tool will help Cambodia to achieve sustainable development and conserve the natural resources for generations to come”, Chhith Sam Ath, Country Director of WWF-Cambodia.